What Christians Should Know: Is faith compatible with doubt? 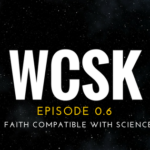 What Christians Should Know (#WCSK): Volume Zero takes a step back and investigates basic ideas about God, the Bible, and the Christian faith. 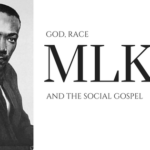 This series provides crucial answers to critical questions about belief. From these verses, I get the overall impression that faith and doubt stand in contrast to one another, but they still stand side-by-side. Even more, experience informs the honest Christian that doubt is a very real component of their walk with God. As is commonly said, if bravery means persisting in the midst of fear, then faith means persisting in the midst of doubt. What I hope to clarify in this lesson is that yes, you can have faith and still have doubts, but it is our faith that motivates us to strive forward in pursuit of a deeper, closer relationship with Jesus. As we mature in Christ, faith increases and doubt fades. Ultimately, doubt can act as an effective servant of truth when it wrestles fiercely and conquers those things that are appropriately doubtful. As I have written in a prior lesson, faith means believing in a trustworthy God. Faith is “the assurance of things hoped for, the conviction of things not seen” (Hebrews 11:1). Faith is the hallmark of a believer. In a general, secular sense, faith simply refers to having confidence or trust in something. And what is doubt? The New Oxford American Dictionary refers to it as “a feeling of uncertainty or lack of conviction.” Doubt is the hallmark of a skeptic. I will dissect the term doubt because its use in modern parlance is often misleading. As defined, doubt refers to a temporary feeling of not being sure and a lack of conviction, but not the absence of conviction. What does this mean? That doubt does not equal unbelief. Doubt therefore represents an internal war where people are divided against themselves. One side says, “I am sure,” while the other side asks, “Are you really sure that you’re sure?” In the battlefield of the mind, doubt is the force that swings the pendulum between belief and unbelief. This interpretation of having a two-fold mind is validated by the Greek words for doubt found in the New Testament. For example, the word for doubt in Jude 1:22 is diakrinō, which means “to separate thoroughly, to withdraw from, to learn by discrimination, to waver.” This informs us of the process of doubt—something dynamic that persuades someone to learn and discern what they truly believe—which enables a person to stop the pendulum and stand comfortably in what they have faith in. So while doubt is unsure, it is also investigatory and directs a person toward the assurance of belief. Now let’s also be clear: doubt isn’t something to be taken lightly. It is not a casual entity to be embraced, because the world is full of people who doubt for the sake of doubting and who, in the end, don’t believe in anything but doubt. Our walk of faith has eternal ramifications, and Who we believe in is final and permanent. Doubt is very, very serious, but it is not final—it is a transition. This realistic view of doubt also challenges two schools of thought about skepticism. On the one hand, it tells us that we can’t be too soft on doubt and embrace ambiguity. This leads to believers who constantly swing on a pendulum and waver between opinions. On the other hand, it tells us that we can’t ignore the reality of doubt and try to demonize people who have honest reservations. If this path is followed and the doubt is ignored, the person has no choice but to stuff the doubt deep down inside, where it can grow. This drives them away from the church and Christ. The English definition of doubt emphasizes a feeling of uncertainty—doubt carries with it a strong emotional component. This emotionality is therefore susceptible to circumstances and situations, and this also helps to explain why doubt is more prevalent at night. Doubt need not be a permanent condition but rather a response to changing tides in life. Doubt is also learned—after all, a person can doubt only if they have learned certain things that draw them away from one belief to another. This means that as a person develops faith in one conviction, their doubts in alternatives increase. Seen from this perspective, doubt not only is compatible with faith, but is a necessary consequence of it. Generally speaking, if a person doubts A, then they will have faith in B. Doubt by itself has no value because it is dependent and derivative. Doubt only has value as it points to an alternative, positive belief. Accordingly, as Timothy Keller writes in The Reason for God, “Every doubt, therefore, is based on a leap of faith.” So if you have faith in God, you tend to doubt that the universe just happened without a cause. If you are an atheist, you have faith in Darwinism and tend to doubt that God is the Creator of the universe. If you are a pacifist, you have faith in non-violence and tend to doubt the efficacy of war. So when we use this frame of thinking and apply it to faith in God, a reasonable way to approach the issue of doubt is to ask what a person’s alternatives are. That is, if they don’t have faith in God, do they have faith in something else, and why? Ultimately, eternity matters more than the present, and an inescapable certainty of life is that all people must die. If a person’s alternative does not provide a reliable promise of eternity backed up by Someone who has conquered death, perhaps it is time to begin doubting one’s doubts. Jesus, who graciously responded to Thomas and his doubts with future-oriented consideration, transformed doubting Thomas into believing Thomas. A similar instance happens in Mark 9:24 when a father admits that he has belief mixed up with unbelief, and he asks Jesus to help him. Christ responds by blessing the man and healing his son. What is also certain is that if you have doubts, the last thing you should do is google your question or watch a YouTube video from the skeptic with this week’s most popular video. Remember, doubt by itself has no value unless it directs you to an alternative belief. It has always mesmerized me that people doubt Christ and then find “solace” in the idea that nothing produced everything, that people have no causal purpose, and that the uncertainty of a person’s eternal destiny is brushed off with a casual shrug of the shoulders. True, a person doesn’t necessarily need God to “take life by the horns” and be “happy,” but they also don’t need skepticism to do that either. There were disciples (plural) in the boat, yet only Peter stepped out and walked toward Christ. And, in his pursuit of Jesus, he saw the wind and got scared. When he fell into the water, he called Jesus “Lord” and asked Christ to save him. Jesus graciously extended His hand and picked Peter up, telling him, “You of little faith, why did you doubt?” What does this tell us? That in Peter’s case, he had a little bit of faith that co-existed with doubt. Preachers like to beat Peter up in this story, yet they often neglect to mention the other disciples, who were crippled with fear and never got out of the boat in the first place. Even more, what is most reassuring about this story is that even when we step out in faith with doubts, it is Jesus, God’s Word made flesh, that will pick us up when we stumble. Less Jesus, we drown in the waters of doubt. Because of the littleness of your faith; for truly I say to you, if you have faith the size of a mustard seed, you will say to this mountain, “Move from here to there,” and it will move; and nothing will be impossible to you. The fact is that an overwhelming majority of Americans (more than 80%) believe in God, and Europe is becoming more religious. If anyone tells you that religion is on the decline around the globe, that statement is to be immediately doubted. Why? The fact is, excluding Buddhism, all major religions are projected to grow in number over the next 40 years (Islam is growing the fastest), while the number of people who are unaffiliated with any religion will make up a declining percentage of the global population. There is steady expansion of Christianity across the globe with explosive growth in Africa, Asia, and Latin America. So, scientific advancements of the modern world have not caused secularization or diminished the need for religion. However, adjacent to these phenomena is the reality that in America, doubt and skepticism are on the rise and are marked by increases in those who do not go to church and those who identify themselves as “Nones,” or having no religious preference. Cognizant of this polarization, a wise path to chart is not to shun the skeptical but to embrace them and reconcile the reservations they have with God, the Bible, and the Christian faith. Doubt is like a fortress that defends against gullibility and a soldier that wields a sword that cuts away the counterfeit from the truth. Doubt actually signals the start of a search for that assured truth so that we may begin building upon what is clear in our minds. The danger in not having an honest conversation about doubt is that it will dissuade the development of vetted, mature beliefs. After all, people who have never taken the time to seek meaningful answers may find themselves crippled at the hands of a staunch skeptic, or may quickly flee from God in the midst of trouble. The goal is always maturity in Christ, and intelligent faith provides the clarity and meaningful answers that people need to navigate through the rough patches in their walk with God. George Macdonald once said, “Doubts are the messengers of the Living One to the honest.” At some point in our Christian walk, we will all be plagued by doubt. Where do we go when we need comfort for our hearts and clarity for our minds? It is absolutely critical that we immerge ourselves in God’s timeless, unchanging, and certain Word, which is the light that guides us in the darkness (Psalm 119:105; Romans 10:17). God’s inspired Word is beneficial to us at all times of our life. As II Timothy 3:16 says, “All Scripture is inspired by God and profitable for teaching, for reproof, for correction, for training in righteousness.” The reassuring news is that because God is sovereign, our doubts will never change who He is, what He has already done for us in Christ, or the fact that all things (even our doubts) come together for the good of His children (Romans 8:28). We may doubt, but God is the rock (Psalm 18:2) upon which we stand. Before the foundation of the world, He knew all about us and yet He still chose us (Ephesians 1:11), cognizant of all the doubts we would have. As we look to The Lord for assurance, He promises never to abandon us (Hebrews 13:5). Strong faith endures in the good times and the bad, and any honest Christian should not only anticipate the reality of doubt but also have a plan on how to address that doubt. Real, legitimate, Biblical faith can certainly pass the tests of the doubts of life, and in the end through Christ, it shall reign victorious and emerge stronger, more vigorous and more confident than it was before. Have questions or doubts? Get clarity and meaningful answers. 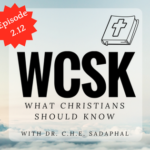 Email us: info@wcsk.org. For example, dialogizoma, dipsukos, meteorizomai, and distazo. See Gary R. Habermas, Dealing with Doubt (Chicago: Moody Press, 1990). Full text of this book is available at http://www.garyhabermas.com/books/dealing_with_doubt/dealing_with_doubt.htm. Timothy Keller, The Reason for God (New York: Riverhead Books, 2008), xviii. Douglas R. A. Hare, Matthew: Interpretation (Louisville, KY: Westminster John Knox Press, 2009), 243-44. For similar usage of diakrinō, see Acts 10:20, Romans 4:20, and James 1:6-8. See Peter L. Berger, ed., The Desecularization of the World: Resurgent Religion and World Politics (Grand Rapids, MI: Eerdmans, 1999). See “Three Spiritual Journeys of Millennials,” The Barna Group, last modified June 3, 2013, last accessed July 19, 2016, https://www.barna.org/barna-update/millennials/612-three-spiritual-journeys-of-millennials.html. Millennials are the group most likely to have no religious preference. You are right. Faith acts in the present right now whereas our hope is directed toward the future. Now I will answer your question but it will be general since I do not know the specifics of your issue that requires healing. I John 5:14-15 says, “This is the confidence which we have before Him, that, if we ask anything according to His will, He hears us. And if we know that He hears us in whatever we ask, we know that we have the requests which we have asked from Him.” God ordained prayer so prayer works because it is a means approved by God. Yet, as the apostle John makes clear in these verses, our petitions do not override God’s will. Therefore, if we ask something that is in God’s will, He hears and responds; if we ask for something that is not in God’s will, He will not grant the request. (c.f. Jesus praying in the Garden of Gethsemane) God is sovereign because He is God. That’s the prayer part. Here is the faith part. The object of our faith is always Jesus Christ. We never have faith in an outcome or a result because even if things do not turn out the way we want, we still trust God, our heavenly Father. We still trust Him because He has guaranteed eternity, but He has not guaranteed day to day outcomes here on earth. Our perspective is narrow and limited to right now. His perspective is cosmic and spans eternity. Finally, God may have good reasons for allowing certain things to happen and not to happen. Again, this is a general response but God may often allow people to endure certain trials to reveal something, to refine something, or to bring someone to repentance. Sometimes God’s response is silence because His will is something other than the thing you and I are praying about. I hope that helps.